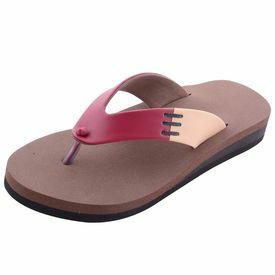 The primary goal of womens diabetic slippers is to protect from foot related complications in diabetes patients such as foot strains, ulcers, calluses, and so on. Moreover, patients with diabetic neuropathy in feet are at much higher risk of these issues. The most common of these complications is foot ulcers which are primarily caused by high concentrated pressure on a certain area. Healing such ulcers is impossible without relieving that area from the pressure in addition to dressing the wound properly. HealthPlus -womens diabetic slippers and custom-molded inserts create a sure-shot preventative system to assist diabetics protect their feet from injuries and ease mobility. Our womens diabetic slippers are strongly glued not stitched because even these threads can cause damage. Available for sizes starting from 6 to 11. The primary goal of womens diabetic slippers is to protect from foot related complications in diabetes patients such as foot strains, ulcers, calluses, and so on. Moreover, patients with diabetic neuropathy in feet are at much higher risk of these issues. The most common of these complications is foot ulcers which are primarily caused by high concentrated pressure on a certain area. Healing such ulcers is impossible without relieving that area from the pressure in addition to dressing the wound properly.HealthPlus -womens diabetic slippers and custom-molded inserts create a sure-shot preventative system to assist diabetics protect their feet from injuries and ease mobility.Our womens diabetic slippers are strongly glued not stitched because even these threads can cause damage.Available for sizes starting from 6 to 11.